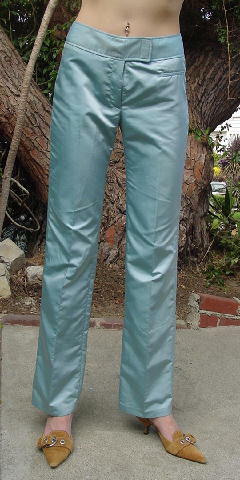 These 55% nylon and 45% polyester iridescent seafoam-azure blue pants are by Joseph London and were made in France. 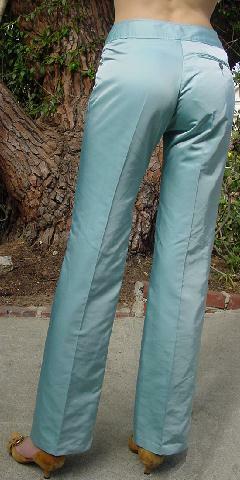 They have a 2 1/4" wide waistband with a velcro front closure and two interior iridescent silvery-gray buttons. There is a 4 1/2" long zipper fly and top left front side slash pocket which is still sewn shut. The tag says size S.
The back has a one iridescent button closure right side pocket.